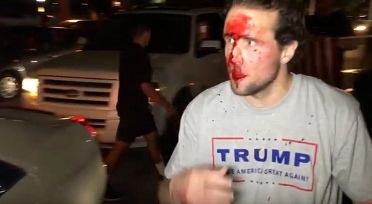 UPA Report 7.22.18 – 133 Trump Supporters Attacked Following Maxine Waters’ Call for Violence Civil war has already begun in America. These women were caught red-handed trying to cross into this country and use their babies as anchors. And the problem’s been ongoing for some time. law to shut down freedom of the press and freedom of speech. This is just the first step. Jihadis generally know the Qur’an, and know that it teaches warfare against unbelievers, including unbelievers who are kind to the Muslims. The RTU has adopted the strategies and tactics shown in this video. For step by step instructions how to deploy unto the political battlefield. Join this political social network. UPA Report 01.14.18 Christian university submits to terror-linked CAIR, cancels speakers critical of Islam. This is Sharia. We are no longer allowed to criticize Islam but we can rip our sitting POTUS to shreds. Hamas, which controls the Gaza Strip in the Middle East and was founded by the Muslim Brotherhood from Egypt, controls CAIR the most powerful Muslim organization in America and they have just shut down “free speech” in a Christian University in TN. Have we had enough yet? Bill Warner one of the speakers who was canceled said: Yes. This has now been cancelled thanks to the stealthy work of Muslim Brotherhood front group, CAIR. Welcome to the new America in which free speech is controlled by the rules of Sharia which say you cannot criticize Islam. The charges are against Mark Lambert, who is the “former co-president of a Maryland-based transportation company that provides services for the transportation of nuclear materials to customers in the United States and abroad.” Lambert 54, of Maryland, was charged with “one count of conspiracy to violate the Foreign Corrupt Practices Act (FCPA) and to commit wire fraud, seven counts of violating the FCPA, two counts of wire fraud and one count of international promotion money laundering,” the DOJ said in a statement. With a Stroke of a Pen, PA Governor Wolf Limits Firearm Rights by Proclaiming State of Emergency Today. Pennsylvania Governor Wolf issued a proclamation declaringPennsylvania’s heroin and opioid epidemic a statewide disaster emergency, seemingly triggering the firearm prohibitions found in 18 Pa.C.S. § 6107 during declared emergencies. Canada’s minister of immigration, Ahmed Hussen, himself a former refugee who moved to the country from Somalia when he was 16. All told, the feds raided 20 locations in Los Angeles, Orange and San Bernardino counties, targeting three competing birth tourism schemes, officials said. The suspected operators have not been charged but are being questioned. education, low-cost college financial aid, less pollution, and a path for the entire family to emigrate when the child becomes an adult. Was Stealth Invasion/infiltration. 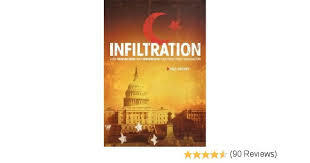 Now, overt infiltration. They know we can’t stop them. prominent official of not one but two Islamist groups: Jamaat ul-Fuqra and the Council on American-Islamic Relations (CAIR). OCTOBER 5, 2017 This past fall. If successful, he could join U.S. Representatives Keith Ellison of Minnesota and Andre Carson of Indiana as the third Muslim in Congress. 2 more Hamas-CAIR – running for elected office across the U.S . Emphasizing a message of unity, Deedra Abboud, a Phoenix attorney and community activist, on Monday announced she will seek the 2018 Democratic nomination for U.S. Senate.In 2003, Abboud helped open the first Arizona office of the Council on American-Islamic Relations. She was the group’s local executive director at the time. Abshir Omar, a Somali refugee and Democratic Socialist, announced June 20 his campaign for Christine Hensley’s Des Moines City Council seat. 2017 Top 12 Events of the War11. From the moment his appointment was announced, UTT called for the removal of HR McMaster as the National Security advisor to the President. Calling ISIS a “group” which “follows a perverted version of religion” and firing the only folks inside the National Security circles who understand the threats from the Islamic and Marxist enemies, Mr. McMaster continues to make decisions without knowing the threat. See UTT videos here and here. 4. Islam commands its followers to create a government that supports it.This may be one of the most ingenious ideas in the whole collection.Islam is the only religion that uses it. Other groups of religious people have had political aspirations, but no other major religious group orders its followers — as a religious duty — to create a government that follows its own system of law. Go local with the RTU. For step by step instructions how to deploy unto the political battlefield join this political social network. A new social internet destination for networking and controlling your local community governments. In formation, new sign ups every day. List of countries that ‘give’ birthright citizenship. – NO OTHER COUNTRIES (ZERO-NONE-ZILCH) folks, the U.S. ‘Stands alone.’ There used to be all kinds of developed countries that gave away their citizenship as freely as we do in the U.S. but one by one they all have recognized the folly, recklessness, lunacy, stupidity of that policy. – SOME MODERN COUNTRIES THAT RECENTLY ENDED THEIR BIRTHRIGHT CITIZENSHIP POLICY: Canada was the last non-U.S. Holdout. Illegal aliens stopped getting citizenship for their newborn babies in 2009. Australia’s birthright citizenship requirements are much more stringent than those of H.R. 1868 and took effect in 2007. The United States is the ‘laughing stock’ of the modern world. Only the U.S. values its citizenship ‘so lowly’ as to distribute it promiscuously to the off-spring of foreign citizens visiting Disney World on tourist visas and to foreign citizens who have violated their promises on their visitor, work and student visas who stay illegally in the country, as well as to those who sneak across our borders. It’s not just Mexico and South America who are sending illegals across our borders. Currently, the CBP(Customs Border Protection) reports that of those apprehended illegally crossing the border, China is number one. Illegal aliens from China, India, Russia, the Middle East, and a host of other nations are flooding the United States. Ironically, most often these ‘illegals’ and/or their offspring are given positions at the front of the line for Government jobs, contracts and assistance. Look around you! We are giving away our culture, and economic and fiscal strength because our borders are not secure and we bestow citizenship irresponsibly.